Some brands will just never disappear. Here are 5 of the best brand comebacks that no one saw coming. Brands all know the risk of a making public mistakes. A PR mistake or simply a fall-out-of-favor can significantly hit customer loyalty and damage your reputation forever but there are some companies that have managed to do the impossible; come back. Founded in 1947, the Danish brand decided to overhaul its strategy in the late 1990s but it turned out to be a financial disaster. The company was intent on promoting action figure-style designs that were at odds with the traditional building bricks that had become synonymous with the brand. The result? Lego reported a $300 million loss in 2003 and had to admit that it had lost focus on who its target audience was. The brand was then passed onto Jorgen Vig Knudstorp who became CEO in 2004 and brought with him a radical approach to turn it around: ask children what they want. Under the spotlight of a new 'Imagine' campaign, the brand went back to basics: designing products that fueled imagination through building blocks. The award-winning campaign signaled Lego's return to the game and helped turn around its financial troubles. Comic books were falling out of favor by the mid-1990s and, despite having dominated the industry previously, Marvel was suffering. With bankruptcy approaching rapidly, it underwent a restructure and prioritized movies rather than its traditional comics. Now the Marvel universe is responsible for some of the most successful films of all time, with Iron Man, the Avengers, Spider-Man, and X-Men raking in billions of dollars. At the turn of the Millennium, Starbucks was undergoing massive expansion and its quality of product simply couldn't keep up. In 2008, it had diminished its brand and was in financial trouble, resulting in the closure of hundreds of stores and making hundreds of people redundant. Instead of crashing out - like many predicted - it piled everything it had left to launch its largest-ever marketing campaign. 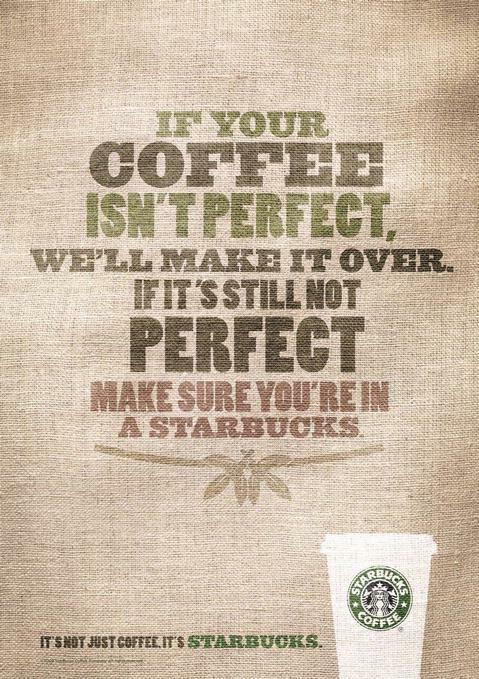 With taglines like "If your coffee isn’t perfect, we’ll make it over. If it’s still not perfect, you must not be in a Starbucks," it not only put its consumers back at the heart of its brand but also positioned itself away from cheaper alternatives. In the late 90s, Converse was struggling. Having experienced lavish success partly thanks to hiring basketball star Charles Hollis (“Chuck”) Taylor, it was a shock that the brand was being outshone by the mid-80s by bigger names like Adidas and Nike. A dwindling market share led to the company filing for bankruptcy in 2001. Eventually, it was Nike who would buyout Converse and take the company in a new direction that would praise its humble roots. The campaign celebrated its place as a rock 'n' roll favorite by producing limited edition products and slowly the brand reinvented itself, while staying true to its history. It's difficult to think of Netflix as anything but a infallible product that is one step ahead at all times but things were very different in 2011. Back then, the company offered a DVD subscription service but the brand was being forced to change. Trying to balance the future - unlimited streaming - with the core of its brand - DVD mailing - was proving too difficult and eventually it announced a division. To get the same service, customers would have to join two separate accounts - one for streaming and the other for DVDs - and pay $16 instead of $10. This caused a massive exodus of consumers, with more than 800,000 customers cancelling their subscription in just one quarter. Netflix apologized for the mistake and tried to claw back some of its customer loyalty but it was only its investment in original series like House of Cards and Orange Is the New Black that has seen its profits, not only recover, but skyrocket.